Indian history has taught that temples in ancient times were once social hubs where people congregated. These were the sites where the arts of dance, music and culture were honed and have been passed down since ages. And now, these temples remind us of the past era and the architectural brilliance of craftsmen in that time. These breathtaking temples remind us of how beautiful that era was. Built as a dedication to Lord Shiva, the destroyer, this temple is a tribute to man’s greatness. It was carved in perfect proportion and alignment to its adjacent structures, which include columns & base, flying bridges, stone arches, and statues – everything made out of just a single piece of rock. At an elevation of 3680 m above sea level, the Tungnath Temple is the highest elevated of the Panch Kedar, the others are Madhyamaheshwar, Kedarnath, Rudranath, and Kalpeshwar. The temple is connected to the Ramayana where Lord Ram meditated to release the curse of Brahmahatya for having slaughtered Ravana. The temple is not much big, and therefore at a time, only 10 people are allowed to visit. 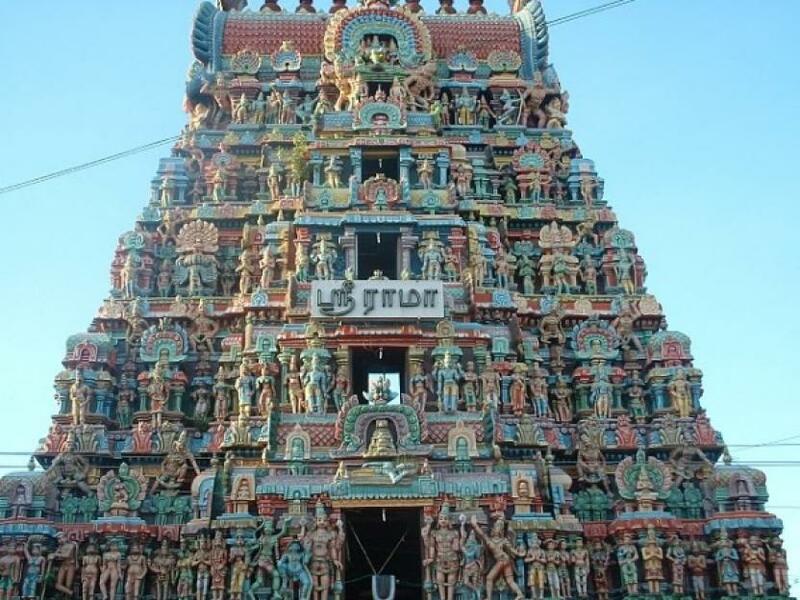 Located in the temple town of India, Kumbhakonam, this temple dates back to the Vijaynagara period. Adi Kumbeswarar is the presiding deity of the temple and the shrine is located in the centre. Kumbeswarar is in the form a lingam believed to have been made by Shiva himself when he mixed the nectar of immortality and sand. Even though the structure of this temple dates back to the 14th century, this temple is considered to be 2000 years old. The temple is basically built of marble and stone slabs. It has a beautiful red pinnacle and a bird motif. The temple sanctum sanctorum holds the central images of Brahma and his second consort Gayatri. It celebrates a festival dedicated to Brahma during the Kartik Purnima. This temple was built around AD 1250 by King Narasimhadeva I of the Eastern Ganga Dynasty. 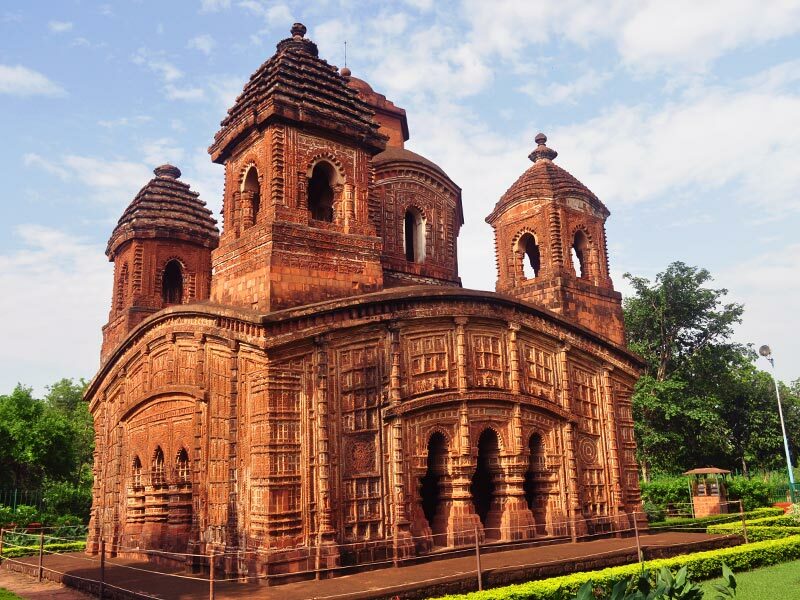 The temple is built in the shape of a gigantic chariot with elaborately carved stone wheels, pillars, and walls. A large part of the structure is now in ruins. The temple is a UNESCO World Heritage Site. Built by King Raghunath Singha in 1643, this temple has a base of a low square plinth and has an ambulatory pathway with a porch opened by three arches on all the sides of the temple. The walls are elegantly decorated with terracotta carvings featuring aspects of the life of Lord Krishna. Considered as one of the most popular of all the temples in Hampi, this houses the famous musical pillars that have superb acoustics. The Britishers wanted to find out the reason behind this, and that is why they had cut two pillars to check whether there was anything inside that was producing the sound. They just found hollow pillars. The path leading to the temple was once a market where horses were being traded. Even today the ruins of the market are still seen on both the sides of the road. This temple also contains pictures of foreigners like Persians selling horses. On your next visit to temple, don’t bow your head and walk away!